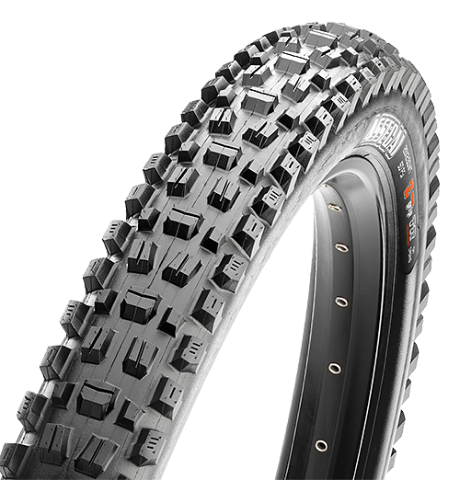 There is a new player in the mountain bike tires scene: Maxxis Assegai 2.5. Developed and pondered upon by Greg Minnaar (Downhill extraordinaire), this tire is a mash up of his favorite Maxxis tires. Legend has it; the thread pattern of the Assegai is a mix of the High Roller and Minion DHF plus all the best qualities of a good DH tire. Ergo: input of a World Champion racer, plus Science and a lot of research is equal to this lean mean knobby rubber called the Assegai. The Maxxis Assegai tire is named after the iron-tipped spear used by the Zulu people of South Africa. 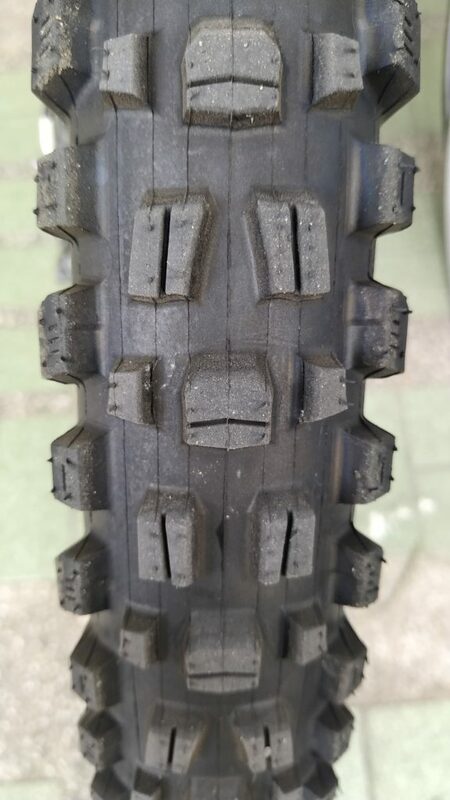 Years ago when everyone was putting on the lightest possible tires on their mountain bike, I slapped on the best 2.35s I could find in order to have the maximum grip on the trail. Ever since I started riding the trails, I always wanted it knobby and macho, getting grip from the side knobs and preferring the heavier tires in order to get the traction that I want. I rolled around with the Nokian Gazzaloddis, Kenda Nevegals until I found my calling with the Maxxis DHF and DHR. Downhill bikes wore 2.35s so I got my mountain bike sporting the same burly mean looking tires as well. When the cycling industry slowly morphed into 29 inch tires and eventually to 27.5 tires, there have been numerous tire widths to play around with. I slapped on WTB 2.8s on my bike and was very contented with it, until I started getting flats. I eventually returned to Maxxis High Roller 2.4s. If you are not a weight weenie, and you want your mountain bike tires to be tough, invest in these tires for you would not regret it. Side knobs, check. Tall gritty rubber to claw on dirt and mud, check. Since I started building bikes, I always give special attention to the tires that I put on the bikes that roll out of our domain. It should represent the type of riding the owner demands of the bike. Since I subject my freeride/enduro bike to everything challenging, I require to have bomb proof tires. Comparing the Assegai to the DHF and the High Roller of Maxxis, they all have aggressive looking knobs that can grip through mud and loose soil. Yet the Assegai’s 2.5 width provides an exceptional balance of a downhill tire and plus tire. It is all preference nowadays on how fat/ wide you want your tire to be. 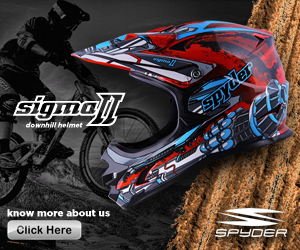 It all depends on the terrain of your favorite trail or where you ride. For the Philippines, I think the right balance of aggressive, without the extra chubby width is found in the 2.5 tires of the Assegai. We tested the Assegai in our San Mateo playground during the dry summer months of January and February. The conditions were dry and loose powdery soil greeted the Maxxis with dust. The tires had no problem climbing, it did not slide and the rubber clung to the ground like a true climber. No worries on the berms and turns for the side knobs worked its magic on the ground. Going downhill was easy for the teeth of the Assegai chomped on the dirt like a madman. 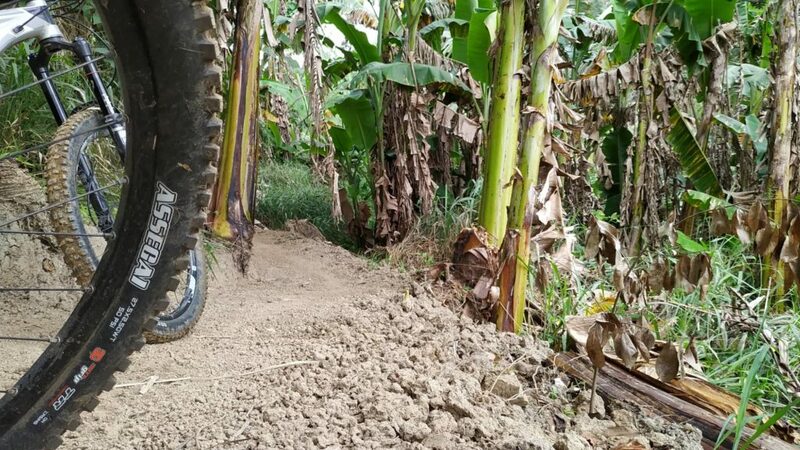 With that, I can say the Assegai 2.5 is my favorite tire for the local trails here in San Mateo, Rizal. I use my mountain bike as my daily ride, meaning I roll the Assegai on the road as well. These tires are really sticky. They roll well, as long as you run the right pressure. 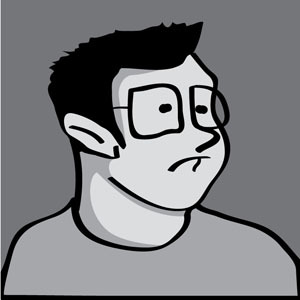 There are instances when I just roll over anything and didn’t care about being punctured… and true to its form, it just darted forward. I even ran into a road with shattered beer bottles, and the Assegai still wasn’t affected. Now this is the tire that you would want to have on your bike when doomsday comes, meaning you don’t have to worry about being flat. You just rock it out and ride on everything and anything. It’s worth it! The Assegai is my new favorite tire. Before, I can’t stop raving about how good the Maxxis Minion DHF was, but with this new pattern and width, I’d be using this model until something better comes along. It is more costly than other tires in its category, but I always believe that if you are paying for quality, it is more than worth it. If you can pay a few extra with the assurance of not getting a flat that often, that would be awesome!